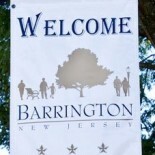 The Barrington School District Board of Education will present its 2012-2013 spending plan to the public at 7 tonight at the Art Room in Avon School. Under the provisions of a new state law, there will be no public vote on budgets that increase taxes less than a state-mandated cap currently set at 4 percent. The preliminary budget proposal included no tax hikes for Barrington residents, meaning this budget will need only the approval of the county schools superintendent to move forward. Residents wishing to voice their opinions on how tax dollars are being spent at Barrington schools will need to do so at tonight’s meeting. The spending plan itself is available for public inspection at the Office of the Board of Education, 311 Reading Ave., until 3 p.m. today. This entry was posted on March 29, 2012 by Barrington Bulletin in Schools and tagged budget, taxes.